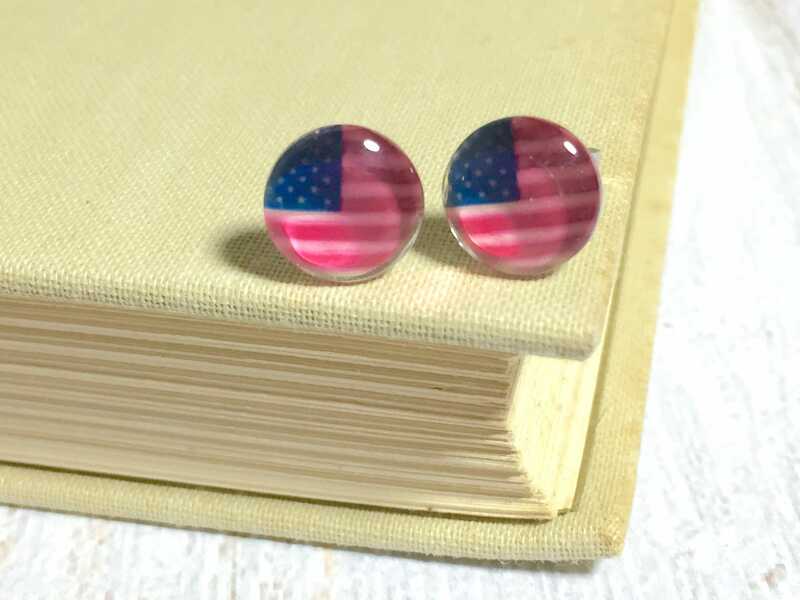 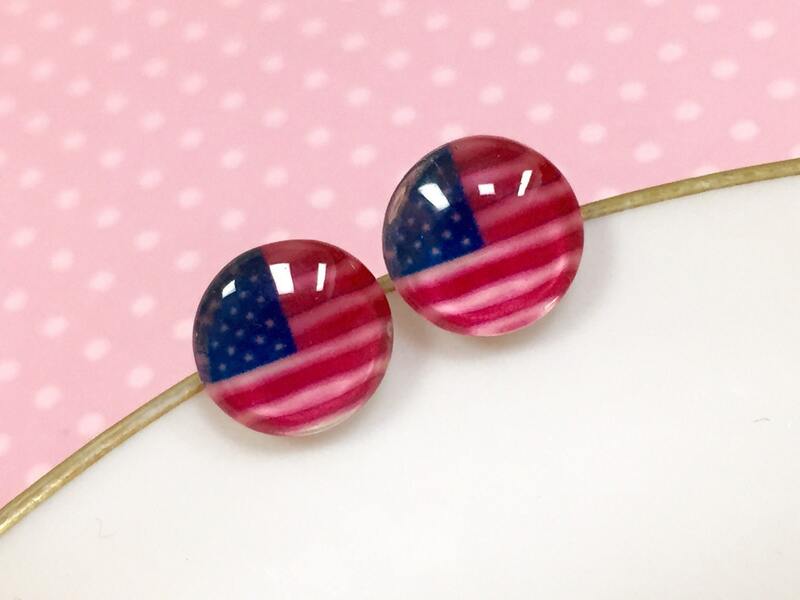 These little glass earrings are made by affixing a tiny photo of an American Flag cut to fit the tiny glass cabochon. 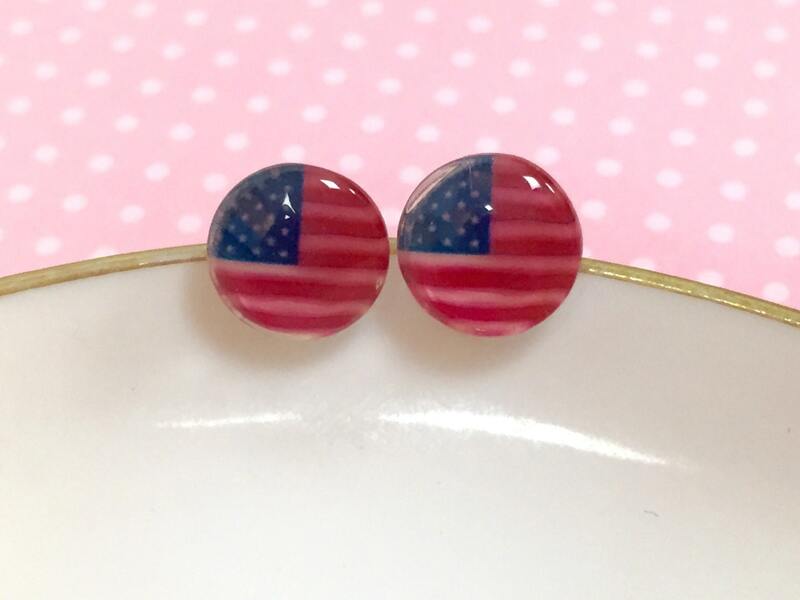 I have securely attached stainless surgical steel studs. 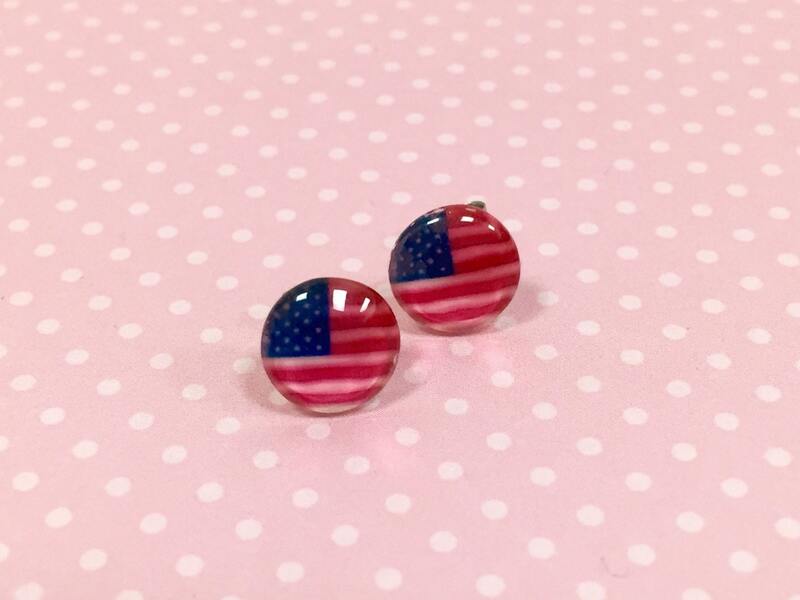 The studs measure about 3/8 inches (9.5 mm) in diameter.